Vivo IPL 2016 is done and dusted now. There were matches. There were victories. There were defeats. The carnival which lasted for 49 days saw many masterly performances right from the starting until the end. After considering all such recitals, here is a list of eleven players who form the 'Top XI' of Vivo IPL 2016. David Warner (C)- The 29-year old left-hand batsman from Australia was the captain of the winning team, Sun Risers Hyderabad. Warner led his team from the front. There was a point when Warner single-handedly started winning matches for his franchise. He scraped together 848 runs in 17 matches at an average of 60.57 and a strike rate of 151.42. Virat Kohli (VC)- Scoring a T20 century in one's entire career is a great landmark. But scoring four of them in one season is next to undoable. That is Virat Kohli for you. He might have lost the final, but IPL 9 will always be remembered as Virat Kohli's IPL. Kohli was the Highest run-scorer in IPL 2016. He racked up 973 runs (Most by a batsman in any season of the IPL) in 16 matches at an average of 81.08 and a strike rate of 152.03. He also bagged the awards for Most Number of sixes in the tournament (38). With 4,110 runs in 139 matches, Kohli is the Highest run-scorer in the IPL now. AB de Villiers - No. 3 seems to be lucky for de Villiers in this season. He ended up at the third position in the list of Highest run-scorers. He batted at No. 3 for Royal Challengers Bangalore. And here again, he is at No. 3. Mr. 360 continued his golden run in the IPL by scoring 687 runs in 16 matches at an average of 52.84 and a strike rate of monstrous strike rate of 168.79. Lokesh Rahul (WK)- Not many people expected this 24-year old right-hand batsman to dominate in the IPL. His class is more suited to the longer format. Proving them all wrong, Rahul finished the season with 397 runs in 14 matches at an average of 44.11 and a strike rate of 146.49. He emerged as a 'Man for the crisis' for Royal Challengers by scoring four consecutive half-centuries when in mattered the most for the team. Rahul, not being a regular wicket-keeper performed the duty behind the stumps in every match he played in. Karun Nair - Just like Rahul, Karun Nair is also 24-year old and a right-hand batsman. 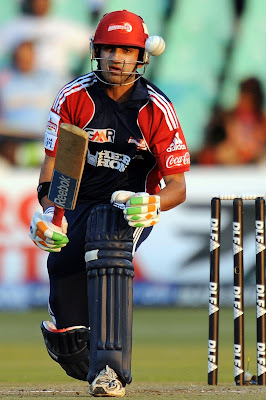 He scored 357 runs in 14 matches for Delhi Daredevils at an average of 35.70 and a strike rate of 120.20. Nair was consistent throughout the tournament but his best act came in Delhi's penultimate match against Sun Risers Hyderabad when his 59-ball 83* single-handedly helped Delhi to stay alive in the tournament. Yusuf Pathan - The elder of the Pathan brothers, Yusuf perhaps was at the peak of his batting in this IPL. Pathan scored 435 runs in 16 matches for Rajasthan Royals in their quest to the title in the first season of IPL. His 361 runs in 15 matches in this season is his second highest aggregate for the whole season. His runs came at a strike rate of 145.56 but what was more important for Kolkata Knight Riders was his average of 72.20, which meant that he was willing to stay not out till the end. Andre Russell - A leg injury did not only rule him out of the last two matches of the league stage and the eliminator but diminished Kolkata Knight Riders to chances to win the title as well. Russell scored 188 runs in 12 matches at an average of 26.85 and a strike rate of 164.91. Once a purple cap holder, Russell's injury ensured that he finished his campaign with 15 wickets in 12 matches at an average of 19.40 and an economy rate of 7.40. Bhuvneshwar Kumar - Having spent the ICC Cricket World Cup 2015 and most of India's T20 season on the bench, Bhuvneshwar had some serious points to prove ahead of this season. The 26-year old right-arm medium-pacer emerged as the Highest wicket-taker in IPL 9. His 23 wickets in 17 matches came at an average of 21.30 and an economy rate of 7.42. He improved his weakest link, i.e., death bowling and rescued Sun Risers Hyderabad at several times. Dhawal Kulkarni - Similar to Bhuvneshwar in terms of bowling, Kulkarni impressed everyone with his swing bowling. He picked up 18 wickets for Gujarat Lions in 14 matches at an average of 20.22 and an economy rate of 7.42. 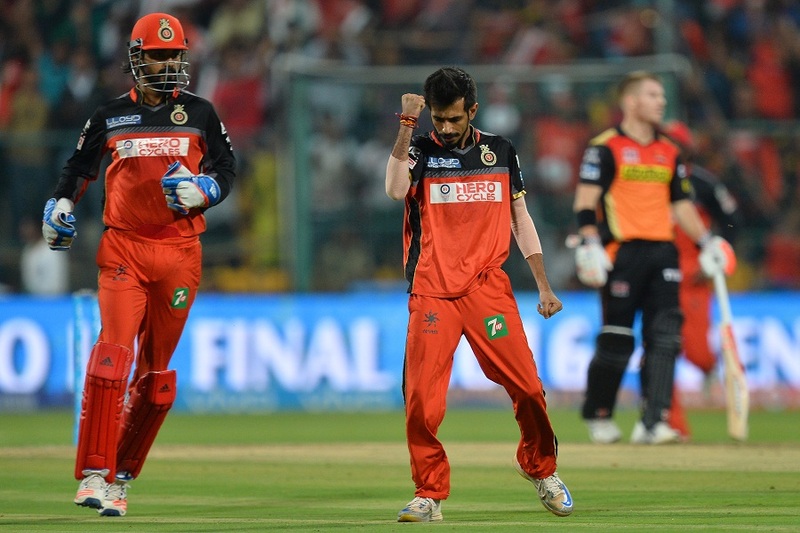 Yuzvendra Chahal - The 25-year old leg-spinner from Haryana who played for Royal Challengers Bangalore finished as the second best bowler in the tournament. His 21 wickets in 13 matches came at an average of 19.09 and an economy rate of 8.15. The fact that he was the lone spinner in the list of Top 10 Highest wicket-takers adds more to his performance. Mustafizur Rahman - The Fizz ended his maiden IPL season with 17 wickets in 16 matches at an average of 24.76 and an economy rate of 6.90. He was perhaps the most arduous bowler to face in the death overs which handed him the Emerging Player of the season award as well.